Evans Mirageas presentation, See/Hear, explored the musical synaesthetic power of art, or how musicians create the auditory equivalents of sculptures and paintings. Approximately 100 members of the Emory Radiology and Imaging Sciences family braved sunshine and warm fall temperatures to gather for the 2016 Weens Lecture. 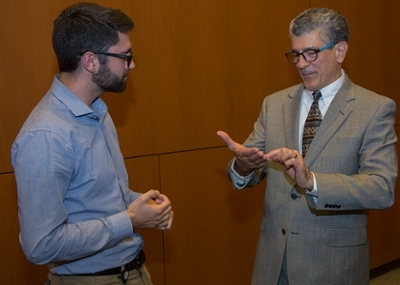 Held on October 20th in the School of Medicine, the 2016 Weens lecture featured Evans Mirageas, the vice-president for artistic planning and operations at The Atlanta Symphony and the Harry T. Wilks Artistic Director of the Cincinnati Opera. His talk, See/Hear, explored the musical synaesthetic power of art, or how musicians create the auditory equivalents of sculptures and paintings. With musical examples and reproductions of the works that inspired them, Mirageas examined the varied ways composers past and present sought to render what we see into something we hear. Audience members nodded their heads in recognition as Mirageas noted birdsong in Beethoven’s “6th Symphony Pastoral”: the flute trilling like the nightingale, the oboe calling as a quail, and the clarinet clucking as the cuckoo. They also marveled at the more direct connection between pictures and music with Modest Mussorgsky’s “Pictures at an Exhibition,” which interprets in ten movements ten disparate drawings by fellow Russian Viktor Hartmann, a painter and an architect. The Heinz S. Weens Lecture is held each fall in memory of Dr. Heinz S. Weens, the first chairman of the Department of Radiology and a pioneer in the field of radiology. 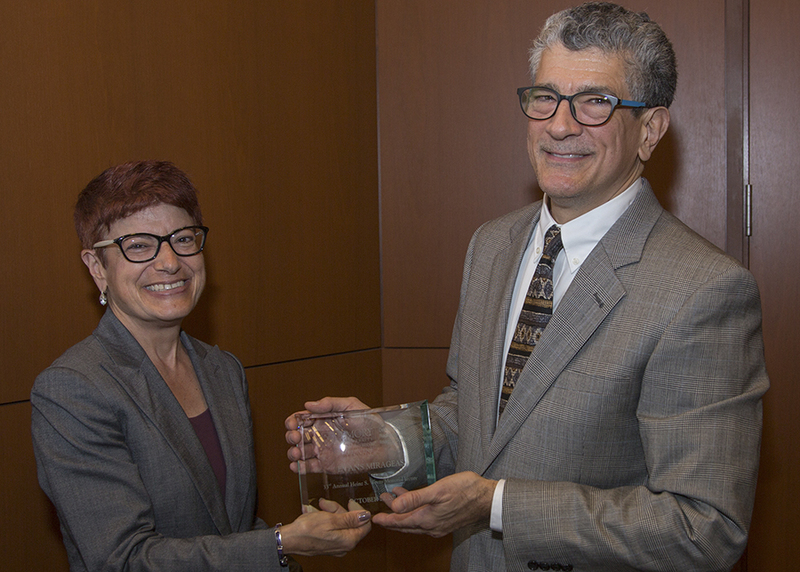 Dr. Weens was an innovative researcher, engaged physician and inspiring mentor who embodied the department’s tripartite mission of clinical care, education, and research. Planning for the 2017 Weens Lecture already is underway. Send suggestions for presenters to carol.dowdle@emory.edu.